VRSF Intercooler Logo Stencil - 16" x 1.8"
Replace your inefficient factory intercooler with a VRSF upgraded intercooler kit to get the most out of your N20, N26 & N55 BMW. 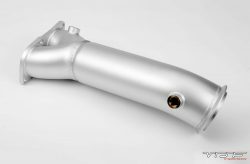 Our intercoolers are designed to be the best performing, direct bolt on intercoolers available for your BMW with special attention to quality and performance while maintaining a reasonable price. 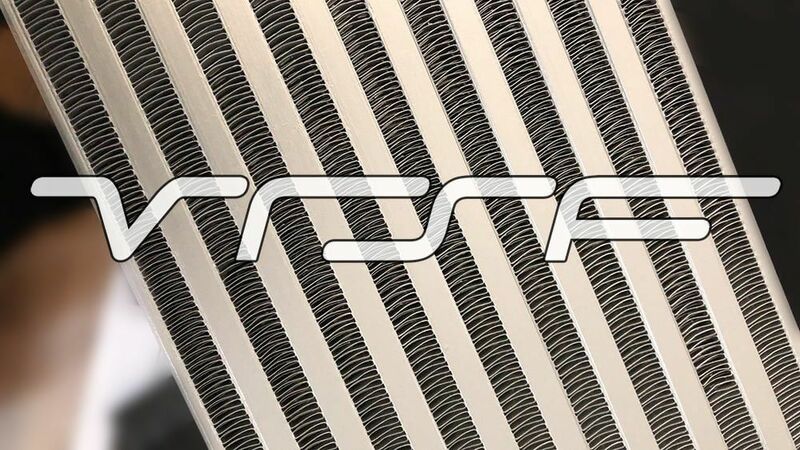 Each VRSF intercooler includes our proprietary High Density fin pack which results in higher HP gains compared to the other guys, mainly due to our incredibly dense internal and external fin pack. Our core was engineered to offer a greater overall surface area for increased heat absorption as well as dissipation. 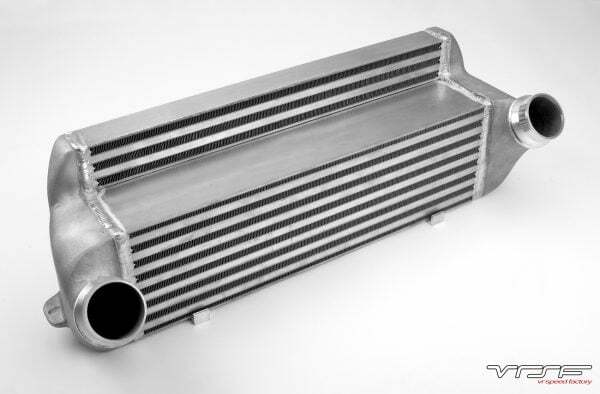 The most important component of any intercooler is the core. 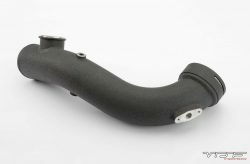 The core cools the charged air from the turbo before it enters the engine and the OEM BMW tube and fin intercooler is designed to support low boost levels and air flow. 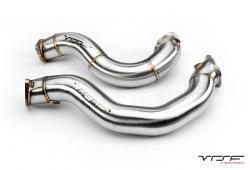 When tuned, airflow and boost levels are increased significantly. This causes the OEM intercooler to heat soak and reduces HP and increases the chance of pre-detonation. We remedy this problem with our proprietary, high density bar and plate intercooler core which utilizes a staggered and offset internal and external fin pack. 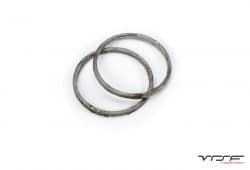 The VRSF HD core has been carefully balanced to provide the the best intake temperature reduction while maintaining minimal pressure drop. 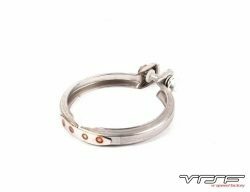 The VRSF HD core is also much more durable than the OEM tube and fin core, with a better ability to withstand rocks and other debris. 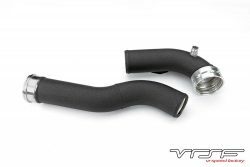 The VRSF 5″ Performance HD & 6.5″ Competition HD Intercoolers are comprised of an incredibly dense fin pack both internally and externally. It’s not uncommon to see intake temperatures drop at the end of a 3rd gear pull due to the larger overall internal and external surface area. 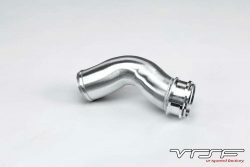 You can expect to see an intake temperature reduction on a stock turbo, full bolt on car during a 3rd gear pull which is why the VRSF HD is THE best option for your N55. Please note that the HD fin pack is now standard at no extra charge! 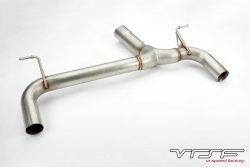 The VRSF 5″ Performance HD is capable of supporting up to 600whp whereas the 6.5″ Competition HD is capable of supporting up to 800whp. 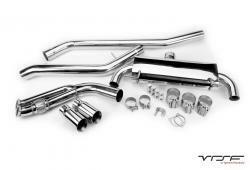 We include everything required to replace the OEM intercooler. 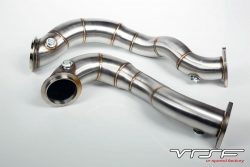 All VRSF intercoolers feature tabs that allow the retention of the factory fan shroud and our CFD optimized cast end tanks are designed to work with both the OEM intercooler piping as well as any aftermarket charge pipe that adapts to the OEM FMIC. After each intercooler is pressure tested, we then apply a thermal dispersant coating which ensure a leak free experience along with superior protection against the elements. 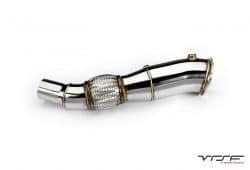 Our intercoolers fit both Left Hand Drive (LHD) & Right Hand Drive (RHD) Models as well as all XI models. 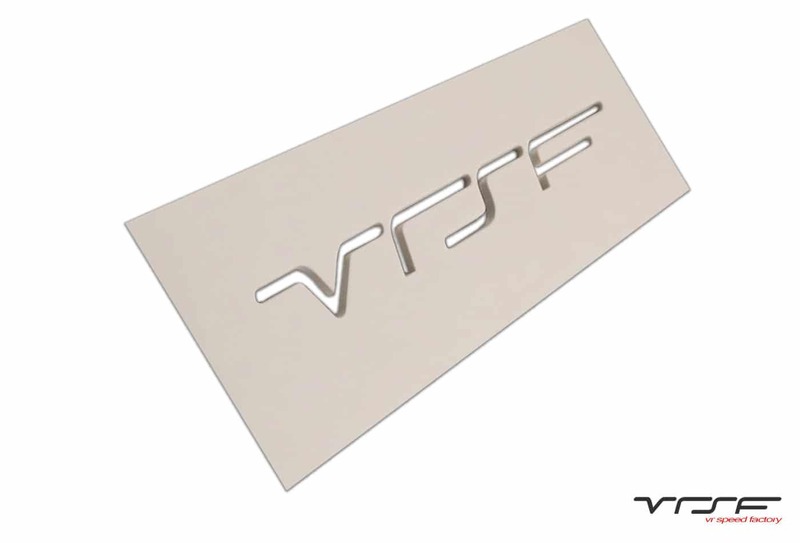 Proprietary VRSF HD bar & plate core. CFD optimized cast end tanks. 87% larger than the OEM intercooler. 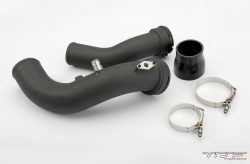 Compatible with both OEM and aftermarket charge pipes. 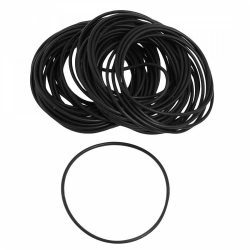 Thermal heat dispersent for added durability. 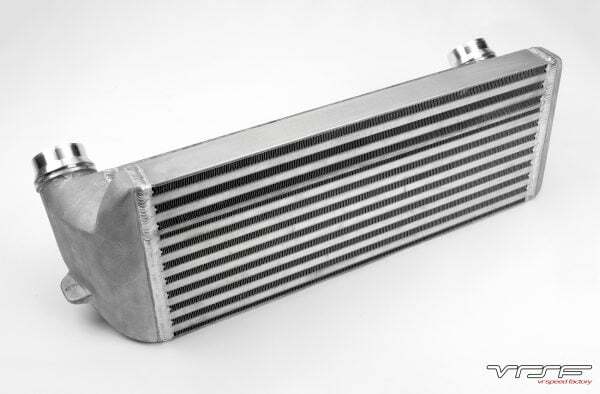 Excellent Intercooler for my BMW F30! Now that I have had the intercooler for over two months now I have had a chance to push it and drive it through various environments. I’m enjoying the benefits of the upgraded intercooler. After some stop and go traffic I’m usually about 15*-20* above ambient. This is just normal driving (no WOT pulls or anything). If I quickly jump on the freeway after starting the car it’s not unusual to see only a 5*-10* difference above ambient. With my stock IC it would basically double those #’s. You can easily double those #’s on stock IC after a sigle WOT pull. As my buddy in his M2 did. It was bad to the point he had to stop doing the runs. For a FBO car with a tune an IC makes a huge difference in keeping IAT down and from bad timing issues after a few runs. I recommend doing the CP at the sometime. Great product to keep temps cool, nice and easy installation!!! Since I’ve installed the new FMIC temps are down like I wanted. 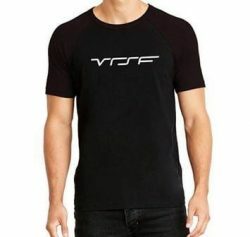 I couldn’t be more happier with the results and I’d like to thank VRSF for providing quality products and great service!! Received just as promised with fast free two day shipping. Fits the car perfectly. Could not be more Happy with this purchase. I have a 5″ HD intercooler and BM3 stage 2 tune. My IAT’s started at around 103 deg F and dropped to 93 deg f for the duration of my 3rd and 4th pull. I did a few pulls that day when i was playing around with logging and the IAT’s were repeatable. 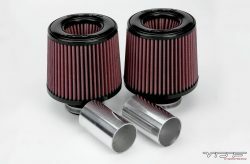 Im just getting into cars so dont have to much to comment but i have had no issues with my FMIC and it seems to do a good job for IAT’s with the stage 2 tune. Installed yesterday and could not happier, used obd2 wifi adapter to monitor the intake temperature on mid noon, dropped 15-20c than oem intercooler. 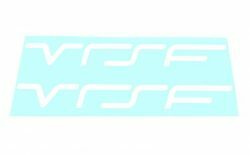 Ordered the VRSF and now they do free HD upgrade. No need to pay double for others. This one does the job very well. It’s a tight fit, but it’s supposed to be. The 5″ directly bolts up with no issues.. It’s a tight fit, but it’s supposed to be.